Two tour guides from Budapest tell us about Hungary's spicy culinary traditions, then author Marjorie R. Williams shares tips for finding exceptional seasonal produce — and great souvenirs — in the south of France. 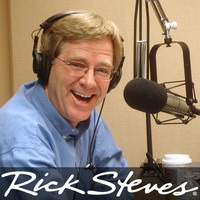 And policy analyst David Rieff joins Rick to discuss which efforts are proving the most effective in the push to reduce hunger and malnutrition around the world. Hungarian tour guides George Farkas and Peter Polczman are both based in Budapest. The Serious Eats website has a photo of a jar of "Strong Steve" paprika paste, in an article about hot sauces around the world. A guide to the Great Market Hall in Budapest. The guide "Markets of Provence" is co-authored by Marjorie R. Williams and Dixon Long. Marjorie R Williams includes blog entries about markets in Paris on her website. The New York Times posted a Q and A with Marjorie about her new Provence market guide. The market in Vaison-la-Romaine is held on Tuesdays. The Marseille tourism office lists pre-Christmas events, and makes note of where to encounter the santon figurine tradition. A list of museums in the Provence region with displays of santon figurines. The village of Richerenches has hosted a truffle market in late fall and winter for many years. David Rieff's book is "The Reproach of Hunger." It's based on years of research into global agriculture and food distribution policies and practices, and the effectiveness of humanitarian aid. It was critiqued by Kirkus Reviews, which includes links to David's earlier titles. The United Nations' Millennium Development Goals were an international strategy to reduce world hunger between 2000 and 2015. There are 17 Sustainable Development Goals that the international community is focusing on, to achieve results by 2030. David Rieff is a member of the Council on Foreign Relations, Human Rights Watch, and the World Policy Institute. The Carter Center, lead by President Jimmy Carter, has been combatting the disease of river blindness around the world. Bread for the World is a global food and hunger advocacy organization in Washington DC that Rick helps to support. It lists the voting records for each state's senators and congress members on legislation related to hunger.